Fast Pain Relief and True Healing, at Blessed Physical Therapy! 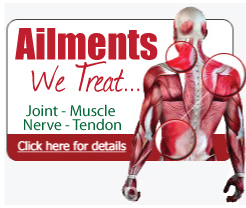 Our treatment programs are specifically designed as a solution to fast pain relief and true healing. Our programs are effective and work fast, getting you back to living a pain free life! Along with our programs for fast pain relief, you will receive self-help tips to further your program at home, and empower you on a road towards healing. 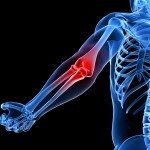 Manual Therapy, Soft Tissue Mobilization and restoring Flexibility in Joints. Optimal Spinal Stabilization and Ultimate Lower Back Workouts. Total Postural Balance Screening and Muscle Imbalance Correction. We also will give you Future Problem Education, and Hands-On Physical Therapy for anything ailment you need treated. Aside from our special solutions, we also offer specific and specialized programs to get you on the road to fast pain relief and true healing! ML830 Laser Therapy Program-The ML830 Laser has proven to be effective as a successful treatment for a variety of aches/pain, injuries, wounds, fractures and neurological conditions. As experts in pain relief, we recommend our non-invasive breakthrough technology. Our laser therapy is versatile, convenient and effective while producing safe, significant results. 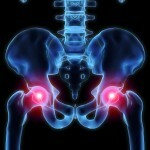 Hip & Knee Joint Replacement Program-We offer an educational treatment program that will prepare you for surgery. Our program will help patients preparing for total joint replacement. Patients will be more informed as to prospective protocols, outcomes and expectations. This program is ideal for anyone considering or preparing for joint replacement surgery. 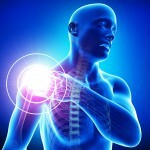 Pain Relief Program-These specialized programs offers a variety of solutions that will help relieve your pain suffering. You will finally experience freedom from pain, restored independence and improved ability to meet your every day physical demands. We provide the best solutions for the fastest recovery. 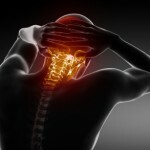 Neck & Back Pain Relief Program-Our program offers a wide variety of different pain relief’s, but it’s also specifically designed to target the chronic back pain sufferers. You can experience immediate and long lasting relief. BioQPulse-Revolutionary Reflexology-based Technology for Pain Relief, Healing and Rejuvenation. Pilates Program-This unique program offers a variety of solutions that will help relieve your pain suffering. You will finally experience freedom from pain, restored independence and improved ability to meet your every day physical demands. We are experts in offering specialized programs to address concerns of pain and physical limitations. We provide the best solutions for the fastest recovery. Sports Program– This program improves endurance and strength, provides muscle training and conditioning tips to prevent injury, fast pain relief for sport related injuries. Women’s Wellness Program-If you’re looking for neck or back pain relief either during your pregnancy or after, planning to have a natural childbirth, or want to get back in shape after having your baby, this is the program for you. Massage Therapy-Studies of the benefits of massage demonstrate that it is an effective treatment for reducing stress, pain and muscle tension. Don’t let your problem get to the point of no return.